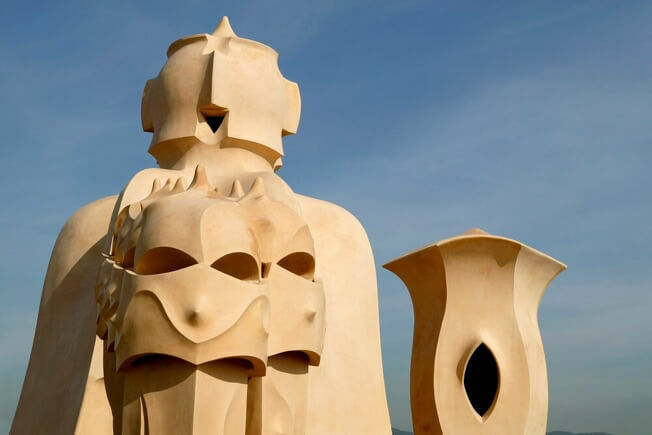 With this combined tour, you will be able to visit Casa Mila (La Pedrera) in the daytime and at night and discover the inspiration Gaudi drew from nature in each of its magical corners. 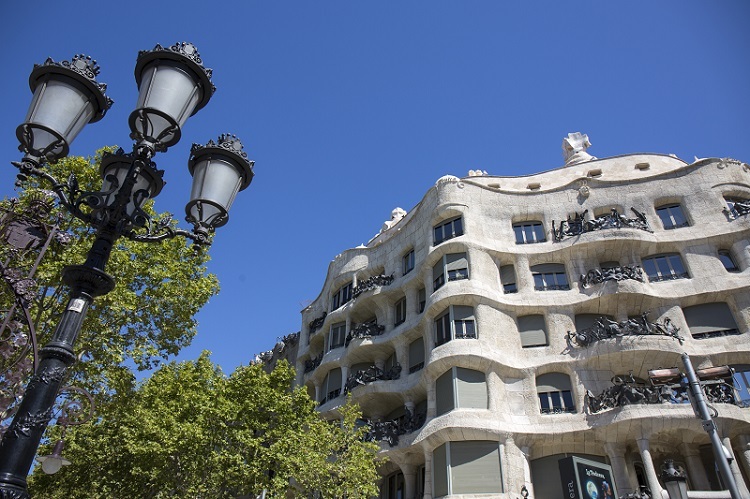 During the daytime tour, you’ll get to know Gaudi’s building at your own pace with the help of an audio guide, included in the admission price. You will visit the Roof-terrace; the Espai Gaudi, situated in the attic; the Pedrera Apartment, which recreates the life of a bourgeois family in Barcelona during the opening 30 years or so of the 20th century; the Passeig de Gràcia and Carrer de Provença courtyards; and the exhibition rooms, situated on the main floor in the Milàs former residence. 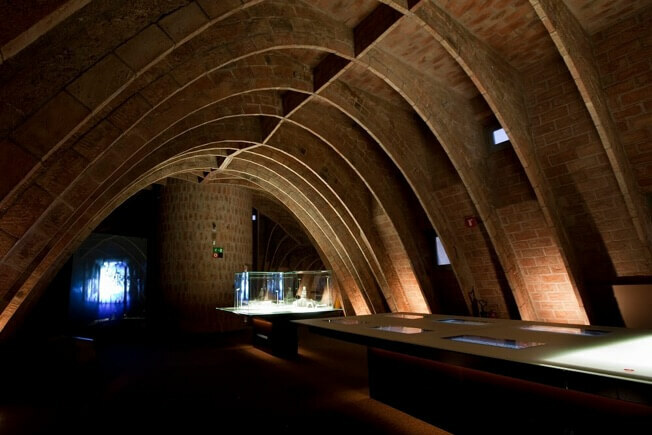 At night, you’ll be able to visit some of the spaces in Casa Mila in small groups. 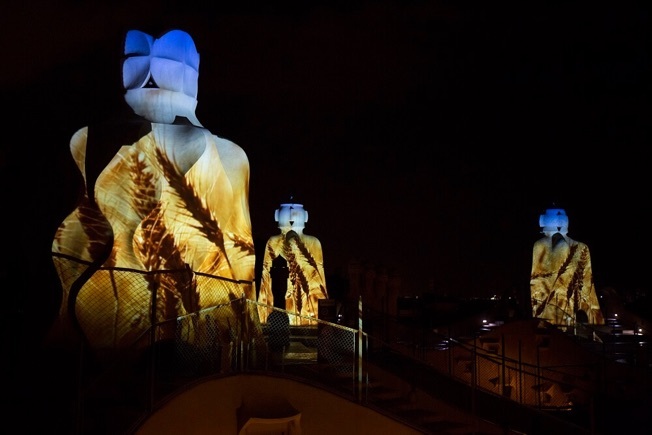 In the company of a guide, you will share in an immersive experience that features projections and which culminates in a video mapping on the Roof-terrace of La Pedrera. 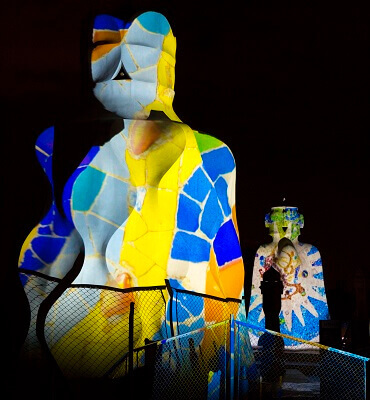 This is a unique visual show with multiple projections, special lighting and an accompanying soundtrack. To finish the evening, there will be a glass of cava and sweetmeats in the Carrer de Provença courtyard. 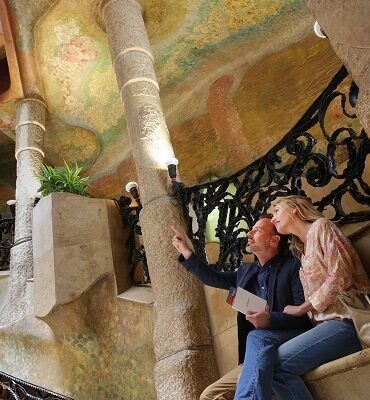 Don’t miss this combined tour to discover how Gaudi gave nature in its purest state a voice in La Pedrera. 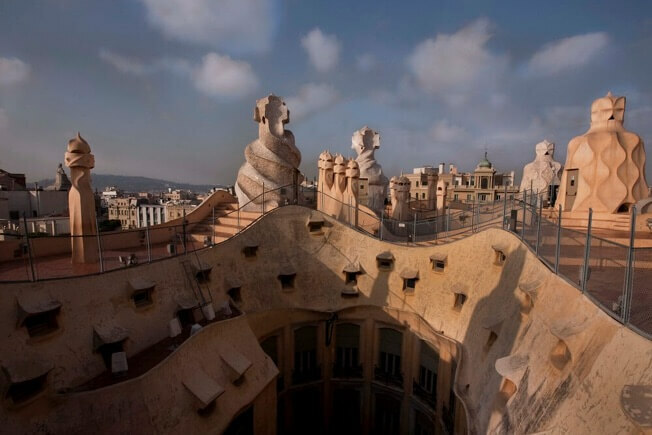 *You can make your night-time visit on the same day or up to three days before or after you arrange your daytime tour of La Pedrera. 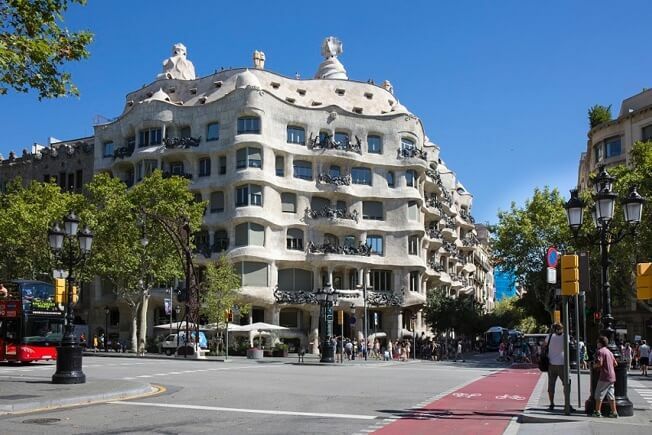 Casa Mila's frontage consists of three stone façades that look out onto Passeig de Gràcia, Carrer de Provença and the chamfered street corner at the junction between these two streets. 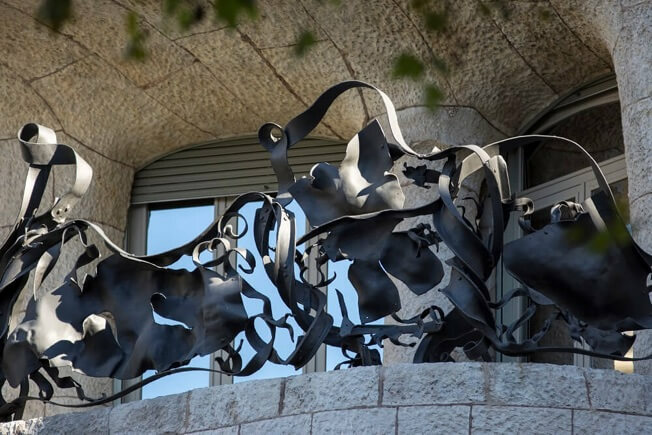 All three combine robustness and dynamism, two concepts that are in principle contradictory but which here blend, harmonising the solidity of the stone with the fluidity of the undulations, the sinuousness of the balconies and the irregularity of the 150 windows. 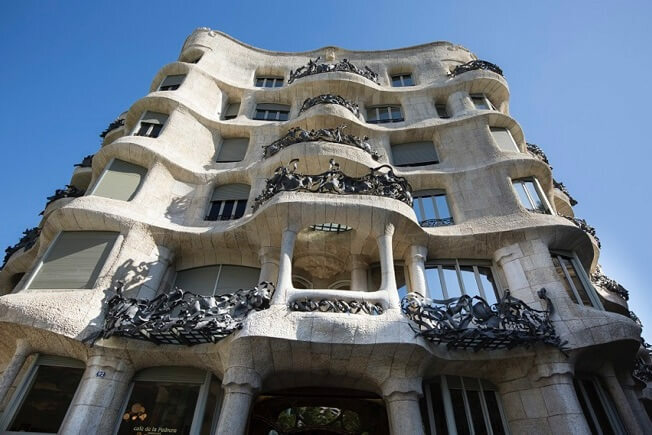 The building’s name, "La Pedrera" (stone quarry), comes from the appearance of this spectacular construction that resembles a vast petrified wave and was inspired by nature. Casa Mila has a unique rooftop, an icon of Barcelona, that bears no resemblance whatsoever to the architecture of Gaudi’s day. 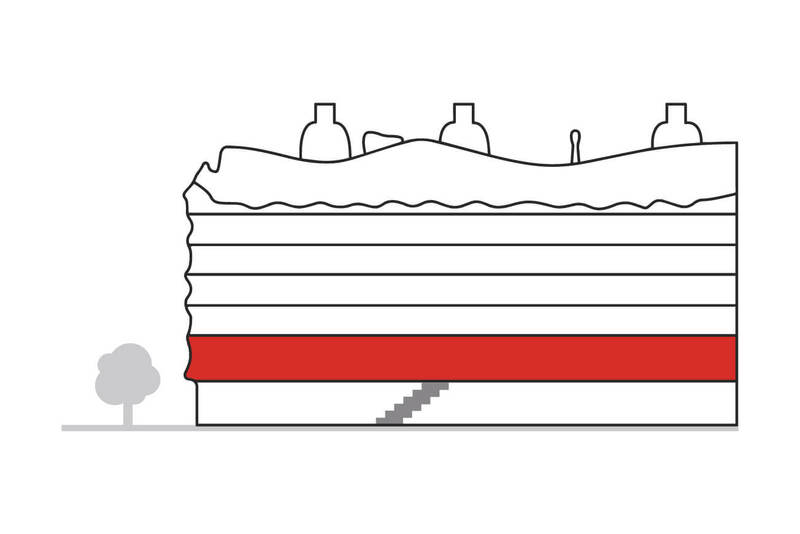 The main features—stairwells, ventilation towers and chimneys—are positioned in such a way that they follow the undulating shape and rhythm of the main façade. 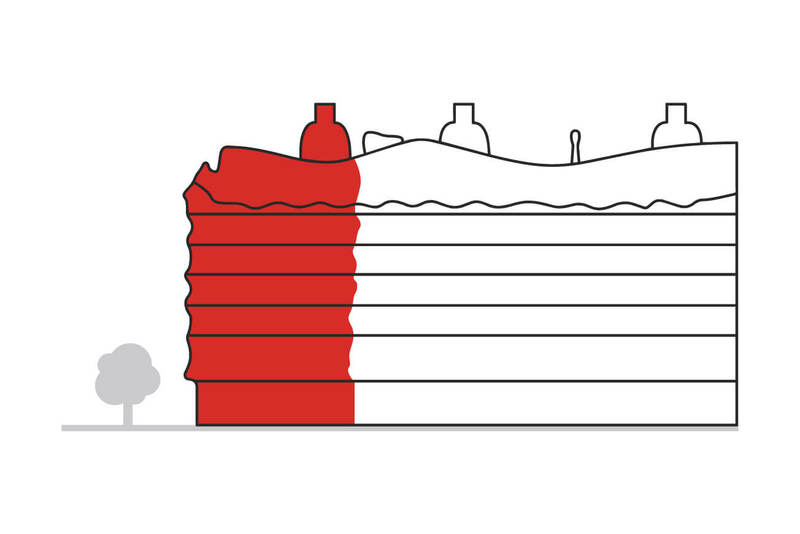 These elements rise up like telluric forces of nature—earth, water, fire and air—and call to mind the heads of knights. 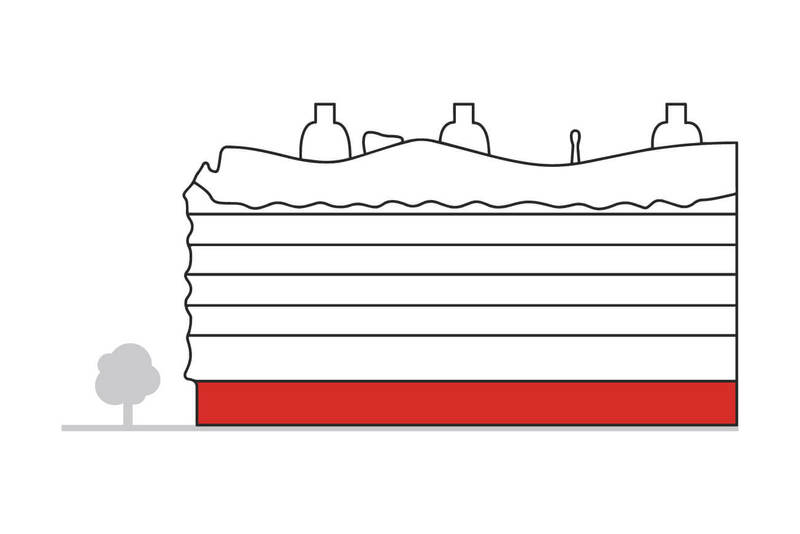 With their intriguing dynamic and symbolic shapes, they serve the utilitarian purpose for which they were designed. 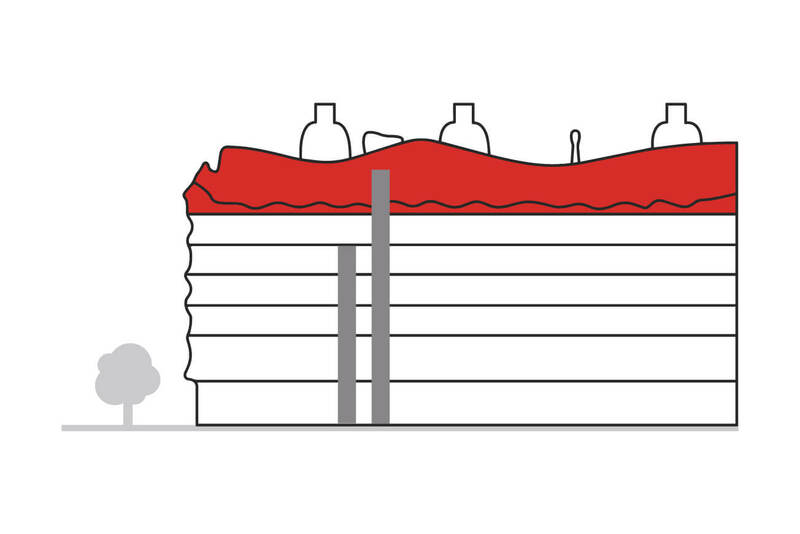 Some of them are faced with trencadís made of ceramic to cover their curving surfaces; in other instances, the trencadís is made of stone, marble or glass. Another impressive feature of this spot is the spectacular views out over the city of Barcelona. 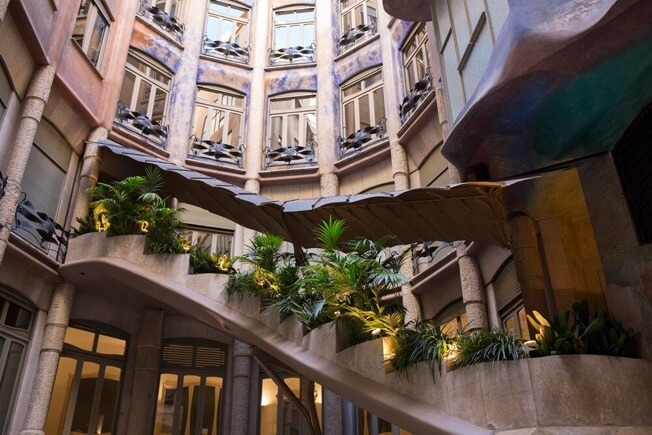 The Espai Gaudi is situated in the attic of Casa Mila and is one of the most characterful spaces in Gaudi’s architecture. 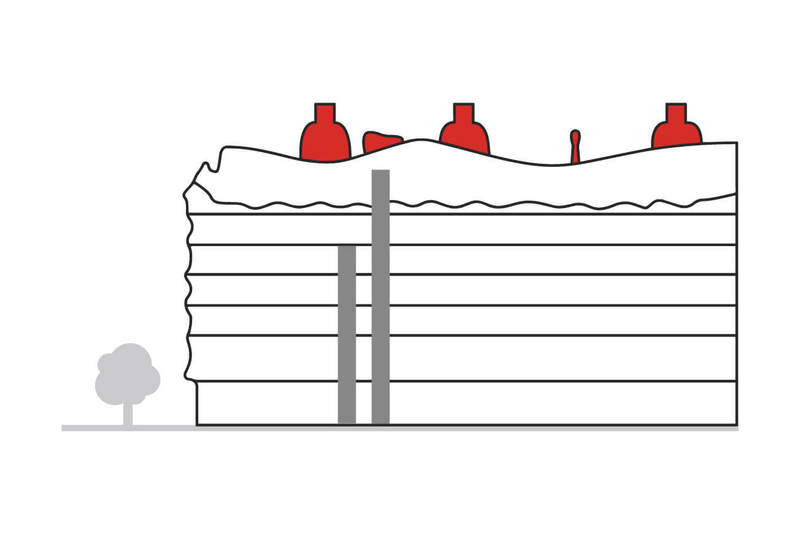 The laundry sinks and storage areas were formerly located here. 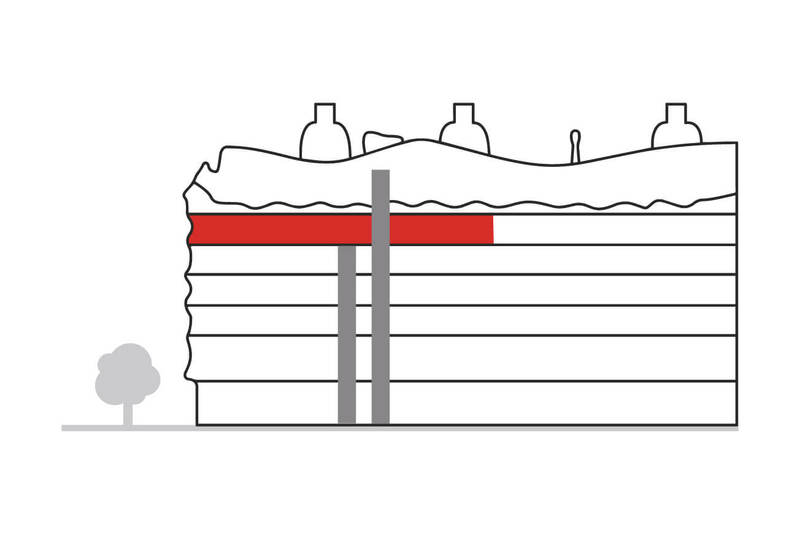 Crossing its threshold is like entering a vast living, breathing being. 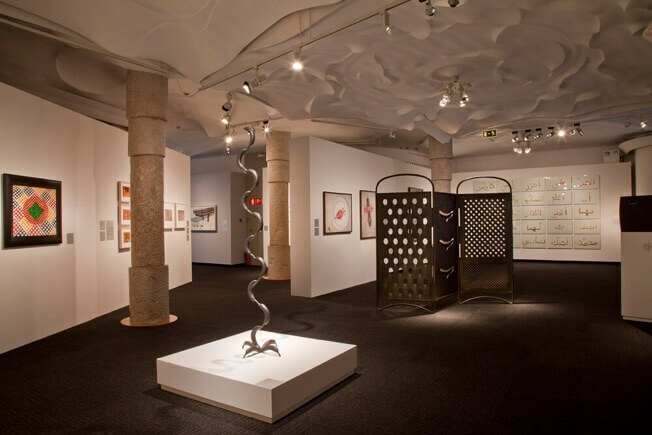 Built using 270 catenary arches made of thin brick, this magical space is home to the only exhibition devoted to Gaudi and his entire body of work. 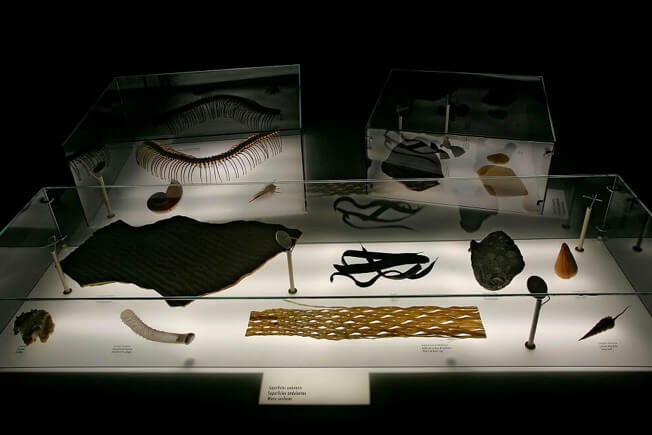 The display is divided into seven sections, one of which is given over entirely to La Pedrera, and features models and plans, objects and designs, photographs and videos. 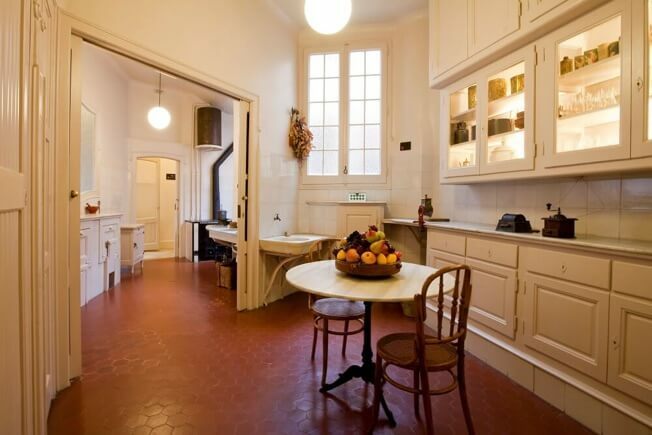 This show apartment on Casa Mila, open to visitors during the day, recreates the home of a bourgeois family in Barcelona in the opening 30 years or so of the 20th century. 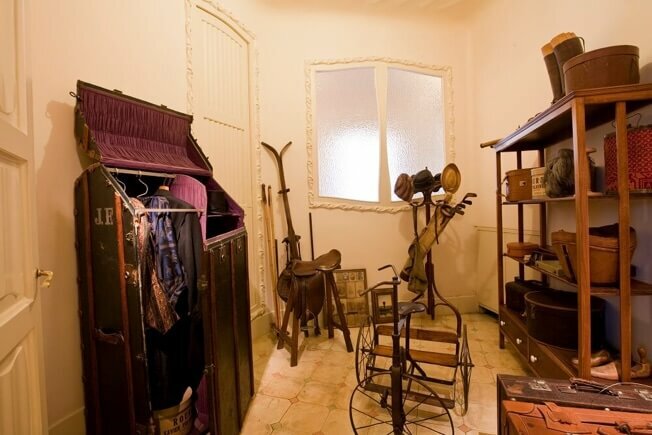 Visiting it takes you on a journey back in time so you can see the décor of the day thanks to the furnishings and household utensils and other equipment. 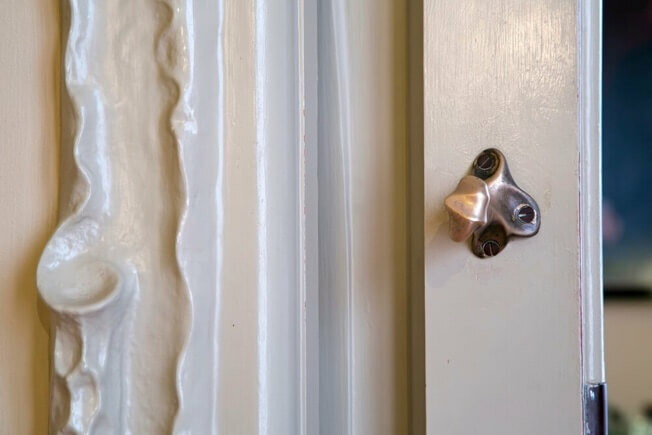 This apartment reveals how the architect sought to enhance the exclusive character of the rented homes by means of the exquisite decorative finishes and the creation of spacious rooms designed to guarantee tenants’ comfort. On Passeig de Gràcia and Carrer de Provença, you will discover two large open courtyards that organise the entire floorplan in an organic manner. 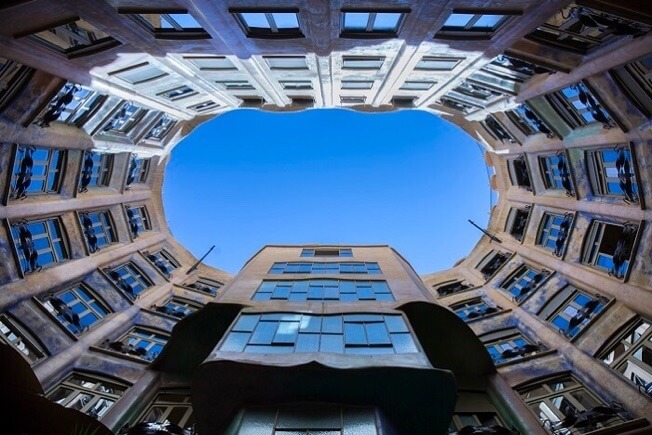 Vehicles would enter via the main doors of Casa Mila, pass through the interconnecting courtyards and make their way down the ramp to the basement. The unusual feature of these courtyards is the arrangement of the windows, which facilitate natural lighting and ventilation to the apartments. 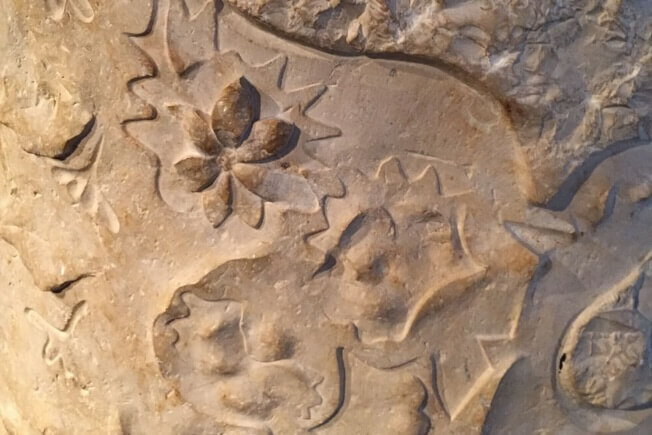 On the walls are murals in every colour, featuring floral motifs, scenes from myths and legends and polychrome details. Once again, the inspiration of the architect Gaudi drew from nature reveals itself in this building. 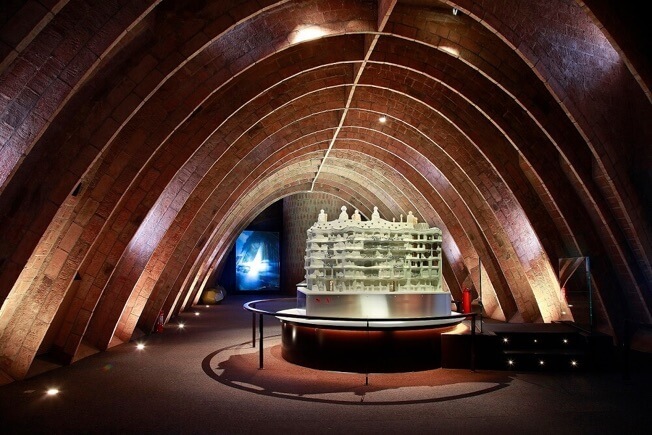 The main floor of Casa Mila, measuring 1,300 square metres, was given over to the home of the Milàs. 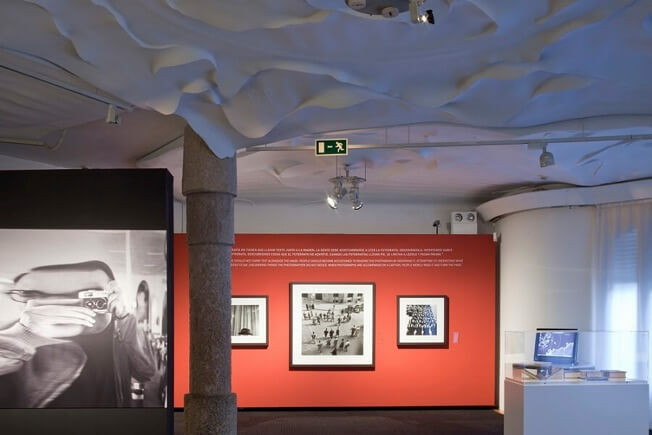 Today the apartment houses the Catalunya La Pedrera Foundation’s temporary exhibition rooms and hence is only open to visitors when an exhibition is on. 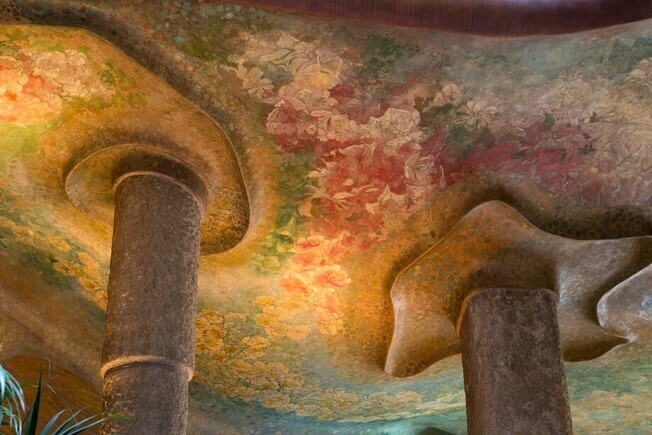 In this large apartment, it is possible to see a number of sculpted stone columns bearing inscriptions and ornamental motifs, inspired by nature, as well as some areas of the ceilings that Gaudi designed to continue the undulating rhythms of the façade.